Susan is well known for her knowledge of San Antonio’s neighborhoods, growth patterns, local and global economic climate, finance and real estate tax laws. Her unique mix of skills and expertise ensures her clients select, negotiate, purchase, sell or rent the right home at the right price that supports their short- and long-term goals. 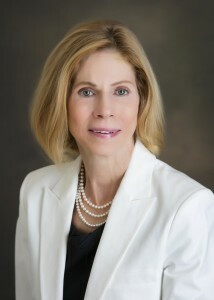 Prior to focusing on San Antonio-area real estate full time, Susan was a vice president of Lehman Brothers investment firm, based in Houston.There, she polished her expertise in economic and financial issues that affect real estate portfolios and how to manage market fluctuations to her clients’ best advantage. Susan is equally well-versed in tax law. Over the years, she has assisted hundreds of San Antonians with their individual returns, specializing in favorable tax implications associated with real estate transactions for primary homes as well as vacation homes and investment properties. Susan’s sincere nature, hard work ethic and honest approach enables her to build authentic and lasting relationships with clients. She genuinely enjoys helping people with one of the biggest decisions in their lives. A graduate of the University of Alabama with a B.S. in Business Education, Susan has twin sons. She is a member of the Military-Civilian Charitable Foundation, the San Antonio Alumnae Chapter of Delta Delta Delta, Episcopal Daughters of the King and the Alamo Republican Women Organization. Susan enjoys, golf, tennis, skiing and, of course, looking at real estate.